First up is this interview and video with prop master Russell Bobbitt. He has, perhaps, one of the more enviable positions in the world of prop-making at the moment: providing the iconic weapons for the Marvel Universe, such as Captain America’s shield, Thor’s hammer and Iron Man’s arc reactor. The article doesn’t delve into much detail, but it is still a fun read. In the New York Times is this fantastic profile on set designer Eugene Lee. You may not recognize Lee’s name (unless you attended USITT), but you probably recognize the set to Wicked, or to Saturday Night Live, which he has been designing since it began. His house is practically a props warehouse, filled to the brim with objects and collections he has acquired over the years, and this article has plenty of photographs showing it all off. Here is a promising new blog with a fun name: Eat, Clay, Love. It only has a few posts so far from UK-based artist Shahriar, but I’ve already picked up some new techniques I want to try. Finally, if you have been following Shawn Thorsson’s quest to build a life-size ED-209 from Robocop, part three of his series went up last week. 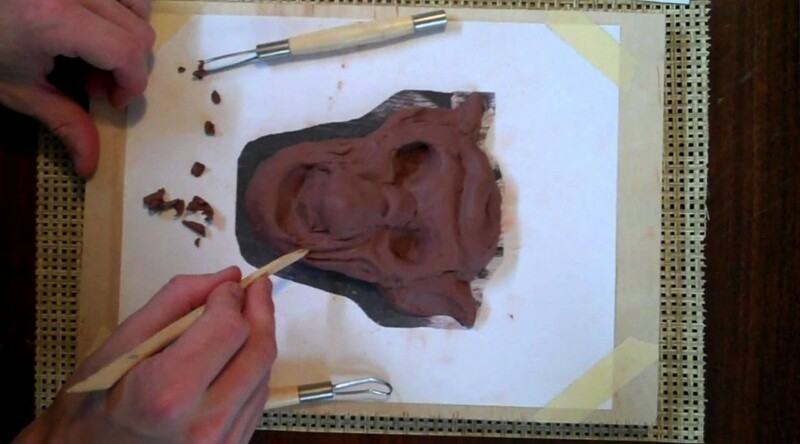 He’s doing a lot of molding and casting of the parts for this installment, and explains how he does it. Happy Friday, good props people! Though a few years old, this tutorial on making paper clay is pretty useful. Paper clay is a great sculpting material if you are working with kids, or otherwise need a cheap and non-toxic medium. I always enjoy when Lost Art Press posts 19th century texts about workmanship. This recent one on “Good Workmen and Good Tools” is such a post. Take care of your tools! Designing a vinyl toy with Joe Ledbetter is a bit different than what most of us do. He steps us through the many procedures one goes through when one designs a vinyl toy and works with a factory to put it into production. It’s kind of fascinating. Finally, if you want a video to zone out to today, check out this mesmerizing one of Philippe Faraut sculpting a human hand from clay. Make Magazine has a great slideshow on “Ten Tips for Drilling Better Holes“. It is a good reminder that even seemingly simple tasks can have a lot of considerations in achieving a good result. While I would not take anything off the list they present, I would add one: be sure the drill bit will not hit your hand as it exits the other side of the material (or if it slips off). I saw this over at La Bricoleuse and had to share: it’s a Rit Dye color chart. Choose the color you want, and it will tell you which Rit dye or combination of dyes will give you that color. Now, a lot of other factors go into achieving certain colors on particular fabrics, and Rit is not the best dye for all types of fabrics, but it is readily available at most local stores and easy to work with in a pinch, and this chart is a good starting point for many colors. I just stumbled on a cool blog called the “Creaturiste’s Labatory”. He has a post on oil clay vs water clay in terms of sculpting, though many of the other posts are useful and interesting as well. This is pretty cool: The official licensed replicas of props from Doctor Who are being manufactured by the same prop maker who builds them for the show. 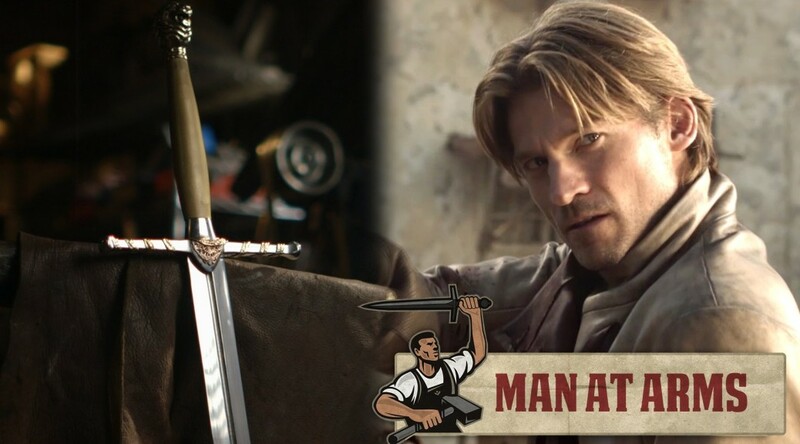 Finally, here is a very cool video of Tony Swatton forging one of the swords from the series Game of Thrones. He has a number of videos showing the making of other weapons as well. It’s amazing to see the mix of tools and techniques he uses for hand-forging custom weapons at the pace which the entertainment industry requires. Though he mainly does film, TV and theme parks, I’ve heard his name mentioned in theatrical circles as well. With less than seven weeks before the release of The Prop Building Guidebook: for Theatre, Film, and TV, I have begun adding videos to that website. These videos are meant to augment the content of the book, since some things are just easier to show in motion, rather than describe with text and pictures. I will be adding new videos every week until the book launches on February 13th. The following article comes from The Daily Dispatch, Richmond, VA, December 2, 1880. I added a few paragraph breaks to make it a little easier on the eyes. The Ingenious Work of the Property Man–Remarkable Effects Produced with Cheap and Common Materials. Theatrical properties, so called, include all things placed upon the stage except what are painted as part of a scene by the scene-painter. Urns, vases, flowers, pictures, pianos, carpets, rugs, furniture, and all ornaments are “properties.” Besides these, all articles used by the actors in the performance of the play, such as canes, cigars, pistols, clubs, knives, pocketbooks, money, and other things of similar nature are properties. The property-man of a theatre has a responsible and arduous-position. Upon him depend many of the important points in a play. The check for $30,000 that saves the impecunious artist from an untimely grave; the secret drawer and hidden will, which, when revealed, restore the wandering heir to his rightful inheritance; the marriage-bell that hangs above the heads of the happy lovers in the fifth act; and the pitiless snow through which the shivering blind girl wanders singing her mournful songs, all are prepared by the property-man. Sad is the lot of that luckless wight who forgets to load the pistol with which the desperate villain is slain. The property-man is provided by the stage-manager with a complete list of the properties needed for each scene, and it is his duty to see that they are prepared and in their proper places before the curtain rises.